How to Protect Windows from Meltdown and Spectre CPU Bugs? The news about the latest massive CPU vulnerabilities – Meltdown and Spectre are around the corner since May 2017. As per Google Project Zero report, this issue affected processors of Intel, AMD, and ARM. These vulnerabilities caused serious security issues in CPUs that were released after the year 1995. They affected the processor performance, provided backdoors for hackers, and much more. Please Note: The two critical issues also affect many devices that run operating systems, like Chrome, Mac OS, Android, and iOS. Therefore, we suggest users to take help of concerned vendors. Microsoft also has acknowledged these two vulnerabilities and has released several updates to help users mitigate them. According to Microsoft, they have taken the issue serious and have released patches for all the versions of Windows and cloud services offered by them. They also mentioned that they did not receive any information of attack from customers reporting these vulnerabilities. The organization is working is working strictly with many industry partners such as chip makers, OEMs and application vendors to provide a secure platform for users. Hence, software updates are required for protecting hardware, firmware, and software. Devices installed with Windows operating systems such as laptops, computers, tablets, cloud servers, and smartphones. Devices installed with iOS, Android, Mac OS, Chrome. Updates for Windows Operating systems, and web browsers (Edge and IE). Has released patches for protection of cloud services. We highly recommend all the users to take following measures to protect against these two vulnerabilities. Action 1: Turn ON automatic updates to keep your Windows device up to date. Action 2: Install your system with latest Windows security updates. In case, you have turned ON the automatic updates, check and verify if they are installed properly or not. Action 3: Install the applicable hardware or firmware update that is offered by the device manufacturer. All the hardware updates are device manufacturer specific and can be installed from respective websites. Please Note: Before you begin, make sure that the installed antivirus software is up-to-date and compatible. You can check antivirus software manufacturer’s website for the latest version compatibility information. How will you verify that protections are enabled? You can check for enabled protection with the help of PowerShell script published by Microsoft itself. The script can be executed easily on your systems. If you find yourself stuck in such scenarios that are related to hardware and you’re unable to access your computer’s data, don’t fuss. Relax for a minute, think for possible solutions that can help in fixing such bugs. After you have fixed the bugs, use a professional third-party Windows data recovery software to recover your data smoothly. This is the most reliable and highly trusted software that is capable of recovering your Windows data. 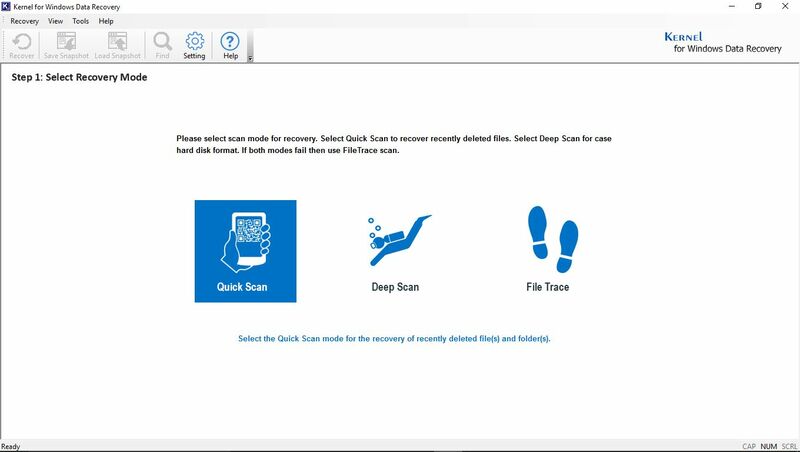 This Windows data recovery software works professionally to recover data after lost, damaged files, accidentally formatted HDD and corrupt HDD partitions. It can recover data from recycle bin folders as well. You can also recover from any external storage devices instantly with the help of this data recovery software. What will you do to save yourself from the two latest disclosed CPU vulnerabilities – Meltdown and Spectre. There are many emergency security advisories and patches available for these severe design flaws in modern CPUs.